Successfully Added Bluetooth Speaker - LED Flashlight, LED Lantern, Bluetooth 4.0, FM Radio, 500 Lumen, Solar Charging, 2200mAh, TF Card Support to your Shopping Cart. Take your outdoor camping experience to the next level with this multifunctional camping gadget. This cool gizmo can be used as a lantern, torch, and even as a Bluetooth speaker. This makes it a truly multipurpose outdoor gadget that is sure to treat you to increased comfort during upcoming camping trips. The gizmo comes with a 2200mAh battery that is solar powered. Thanks to this, you’ll never again have to worry about running out of juice. On a full charge, it delivers up to 6 hours of continuous usage time. From now on, you’ll always be able to listen to your favorite songs and light up your surroundings while enjoying the outdoors. By supporting Bluetooth 4.0, this outdoor gadget can be easily paired with your smartphone. Once done so, it allows you to listen to your favorite songs in great audio quality. Additionally, it gives you the possibility to slide in an SD card or USB drive from which you can instantly play your music. It is also possible to listen to local talk-shows, the news, or weather forecasts thanks to its FM-radio support. Your gizmo comes with a high-end 5W speaker thus you can be guaranteed of an outstanding audio experience at any time. Besides using your outdoor gadget as a Bluetooth speaker, it can also function as a flashlight or lantern. Both lighting modes come in useful in different situations. 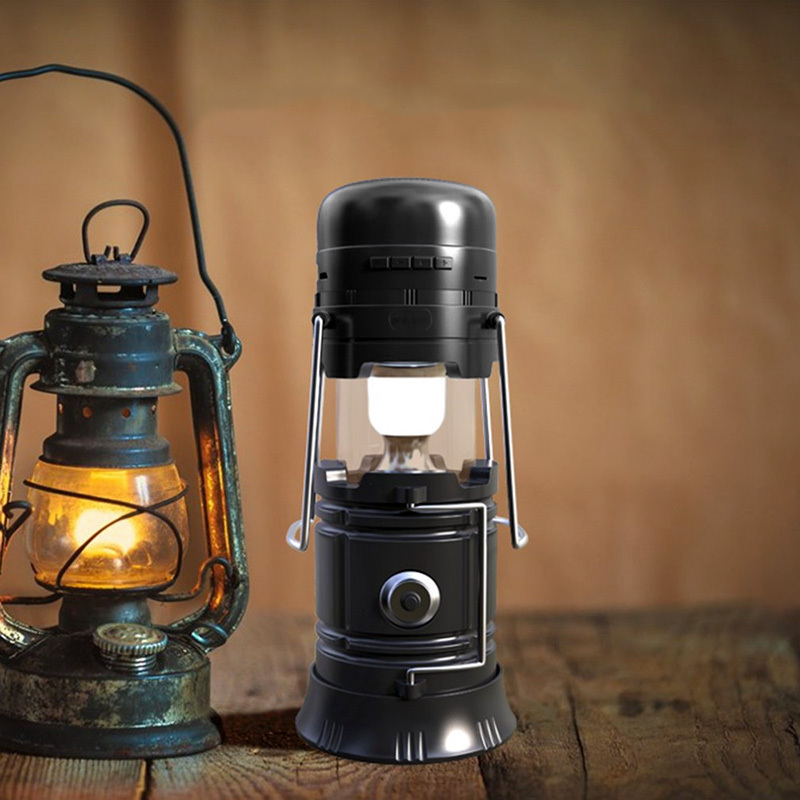 Whereas its lantern mode is great for lighting up the campsite while you’re cooking or reading a book, the flashlight allows you to light up your path ahead while taking a walk at night. By producing up to 500 lumens, you can be guaranteed there will always be enough light to light up your surroundings. This outdoor gagdet comes with a 12 months warranty, brought to you by the leader in electronic devices as well as wholesale electronic gadgets..